so natural looking and easy to clip in - matched my hair color perfectly~I get lots of compliments! 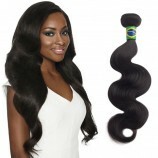 It's beautiful and soft and hold the curl very well. It's stayed perfect for the whole time I had it. It's excellent. Easy and quick fix and nobody knew but I got tons of compliments on how nice my hair looked... ! I am happy I will be wearing it. Awhile back I contacted you for assistance in helping me color match after I had to cut my long hair due killing it with over processing. I ended up finding a mix of Ash Blonde and Rodeo Blonde was the perfect color for my heavily highlighted hair. My hair is super thick so having 2 sets worked out beautifully. I tried on the extensions in Las Vegas at the IBS show. You guys are awesome and the hair is the best quality I've ever seen and felt. I will refer all my clients. Firstly you need clean, dry and straightened hair. And section off your hair about an inch from the nape of your neck. Remember - when installing these extensions, do not go right to the edge of your face. Leave about a cm on each side of each section of hair! 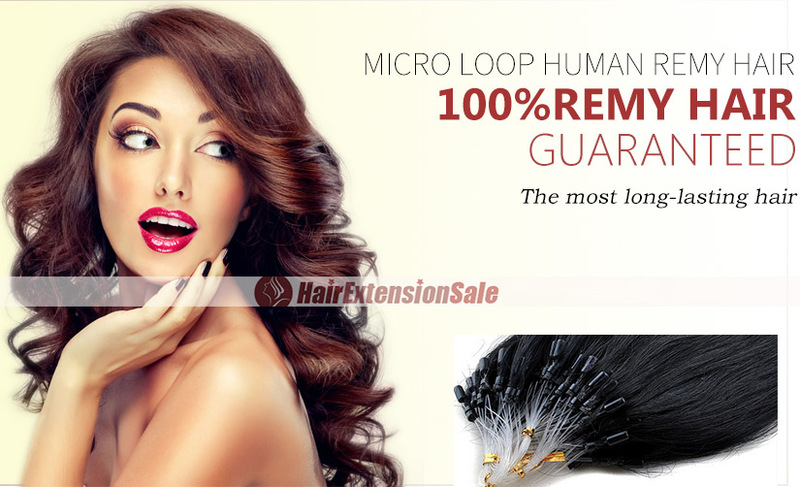 This is a single micro loop hair extension. Usually it comes with the loop already attached.You pass a strand of hair through the clear loop and pull on the clear bead that's resting on my middle finger. Your hair gets pulled through the small brown bead, and then this bead is clamped. Pass the hair through the clear loop. Pass the hair through the clear loop. Pull the clear bead, and the strand of hair will be pulled through the brown bead. Easy! When applying be careful to leave a cm of space from the root. These extensions are too close to the root of the hair. When applying be careful to leave a cm of space from the root. If this happens, don't panic! Just undo, by gripping the bead with the pliers and squeeze the opposite way. Pull further down the hair and re-clamp the bead shut! These extensions are correctly installed with about a fingers width of space between the loop and the root. Leave another fingers width between each extension. With each new layer, you'll be building up the extensions. This is called brickwork, the spaces left from the bottom layer are filled by the top. The finished product! The day you install your extensions, you may have a slight headache from the weight of your new hair, but the headache goes and you soon get used to all the new hair! 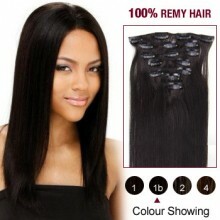 To maintain your Micro Ring Hair Extensions, it is essential you observe the following instructions. Some hair loss is normal – as with natural hair. Since a person’s average natural hair loss is between 50-150 hairs per day and a full head of human hair extensions covers approx. 1/3 of the head, you can expect to see a small quantity of naturally released hairs trapped in the attachments after some time. This is quite normal and should not be interpreted as hairs being pulled out of the scalp by the hair extensions themselves.Two weeks after your Glamour Collections Micro Ring Euorpean Remy hair extensions are installed, return to the salon for a check up appointment. 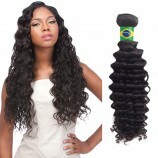 Your stylist will recommend suitable products for your new human hair extensions, or you can purchase hair care products for your human hair extensions online here. It is important that you do not use products with high silicone content as this may affect the attachments. You must used shampoos, conditions and styling products that have a Ph of 5.5. Do not use Protein based products, moisture based products are recommended. 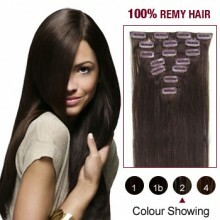 Too much Protein used on your European Remy hair extensions will cause them to go dry and brittle. Do not use products that contain sulphur, such as dandruff shampoo. Do not use serums near the ‘micro’ (metal) rings, use only on mid-lengths to ends of your hair extensions. Tilt your head back and cleanse from the top of the head downwards. Avoid facing your head downwards. Gently massage shampoo into the scalp and hair being sure not to pull on the attachments. Rinse thoroughly and repeat if desired. 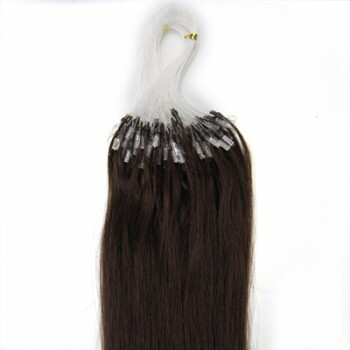 Do not rub or scrub the hair extensions otherwise matting will occur. When shampooing your Micro Ring human hair extensions mix some conditioner into your shampoo (about half and half) when applying on the mid lengths to ends only. Do not use conditioner near the attachments. Apply conditioner to the length of your hair extensions, avoiding the root area, apply only to the mid-lengths and ends, comb through with your fingers until your human hair extensions feels tangle free. Rinse thoroughly. We recommend leaving your conditioner on for 5 minutes or longer if instructions on conditioner recommends longer. We recommend a ritual conditioning treatment on the mid-lengths to ends of your hair extensions overnight once every 10-14 days. Your stylist will recommend a good conditioning treatment, or you can purchase European Remy human hair extension care products at our online store. Do not comb or brush the hair while it is wet. TIP: Try not to wash your human hair extensions too often, as the less your hair extensions are washed, the longer they will last. You can use Dry Shampoo in-between washes. Do not dry with a scrubbing motion, but instead wrap hair with a towel to remove moisture. Always dry the base area (scalp area and ‘micro ring’ area where metal attachments are) thoroughly to avoid the bonds inside the micro rings breaking down. Gently remove any knots/tangles before drying.When using a blow dryer use low to medium heat, aim the heat/ air down the hair shaft starting at the root area moving towards the ends, gently moving the hair with your fingers until at least 50% dry then brushes may be introduced for styling. Use a cool shot near the attachments. Loosely plait your hair at night. Make sure your human hair extensions are completely dry before you go to sleep. Always tie hair up before you go swimming or engaging in sports. Chlorine or sea water will affect the hair extensions as it does your natural hair so it is important to shampoo and condition as directed after such activities. Sea water and swimming pool chemicals can cause the bond inside your micro rings to break down, to minimize these effects, prior to swimming, wet the hair extensions completely in the shower and after swimming, immediately rinse the hair and dry the base area. Products containing Sulphurous substances (e. g thermal baths) will affect the attachments and therefore must be avoided. Do not use products containing alcohol. When using waxes, gels or serums avoid contact with the attachments. Brush with a loop hair extension or soft bristle brush, 2-3 times a day, starting and the ends of your hair to remove any tangles working your way up. Use a wide tooth comb to remove tangles from the ends of your hair extensions. Do not brush or comb in the area between the scalp and the ‘micro’ (metal) rings. Do not backcomb roots where the micro rings are attached. 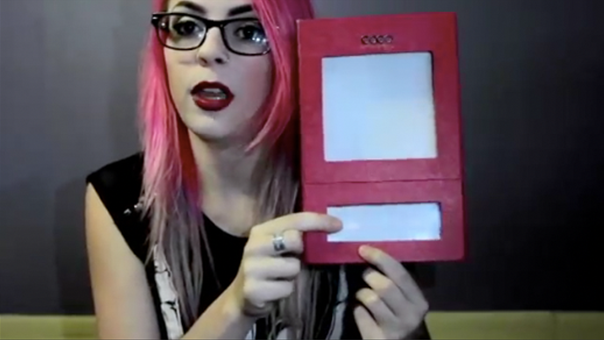 Do not use uncovered plastic bands. Note that your human hair extensions will last longer if you use bobby pins or a claw clip to keep your hair back, and hair ties/bands cause damage to your hair and the hair extensions. 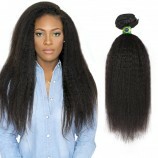 You may find now that you have longer hair you notice more knotting in your hair. Your hair rubs on your clothes/back creating friction, which cause you hair to tangle. Curling irons and hot rollers may be used, but they must be kept at an adequate distance from the ‘micro’ (metal) rings. Although the hair extensions are real human hair they are not root-based and therefore do not receive the same nutrients and oils as your natural hair. 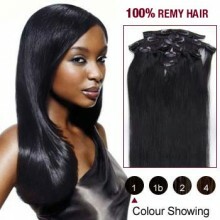 Please be aware, the more you use heat on your hair extensions, the shorter the life-span of the human hair extensions. If you do use heat on your hair, use a low setting and apply a Thermal Protector and Shine Serum on it. Always ensure that your curling irons are clean, otherwise you will be ironing dirt and product build up into your hair extensions. 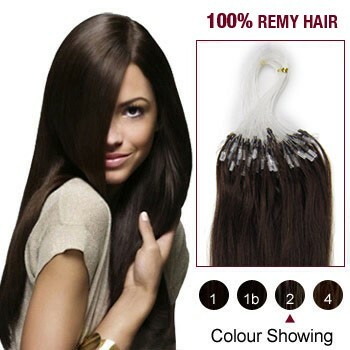 Colouring of your European Remy Micro ring hair extensions should only be done by a hair specialist who is experienced in colouring human hair extensions. A test strand must be completed before any colouring process is done, remembering that human hair extensions are chemically processed hair. It is recommended that approximately every 6-8 weeks your hair extensions will be due for maintenance to prevent hair matting and to keep your micro ring extensions looking fresh. Maintenance can take anywhere for ½ hour to approximately 2 hours.